New Site for Gollon Bait! We strive to bring you the highest quality live bait that the industry has to offer. Through the combination of decades-old proven techniques and high-technology equipment and studies, Gollon Brothers continues the family tradition of superior quality, unmatched availability, and exceptional service for all of your live bait needs. 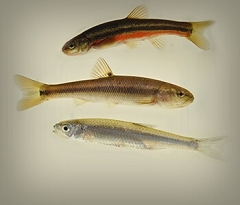 Take a look at the live bait we sell. To place a high volume order, please call us at 1-800-216-0900. We need to gather specific information to supply you with an accurate and fair price quotation. We do not list prices on our site as they vary depending on availability, the shipping location, the quantity and size, and what type of bait is ordered. For more information, call 1-715-344-9843 or fill out our contact form and we'll contact you.